PTi offers several sheet winding options including simple single or dual position fixed shaft arrangements; to multi-position A-frame, cantilever or turret style winders. 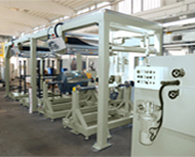 Additionally each winding system can be configured with a sheet accumulator which permits 'O' speed web handling during changeovers for safe operation. 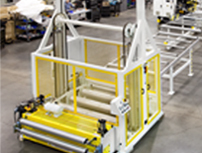 Other options include fully automatic winding solutions for automatic web transfer for turret style winders.